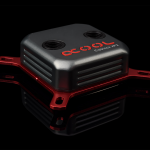 ID-COOLING was formed when a few veterans of the PC industry teamed up and was announced at Computex 2013. The parent company of ID-COOLING has been the cooling solution provider for many brands for over a decade. ID-COOLING specializes in CPU, GPU and case cooling solutions. 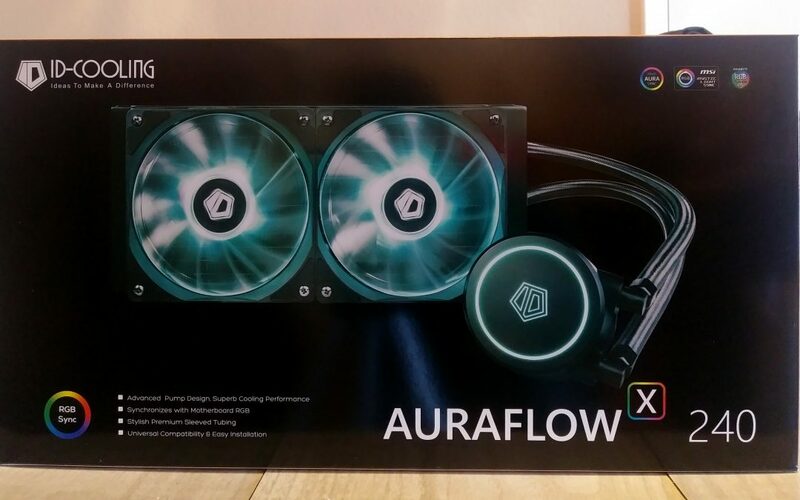 The front of the box is sporting a really nice photo of the liquid cooler showing of its RGB in blue. 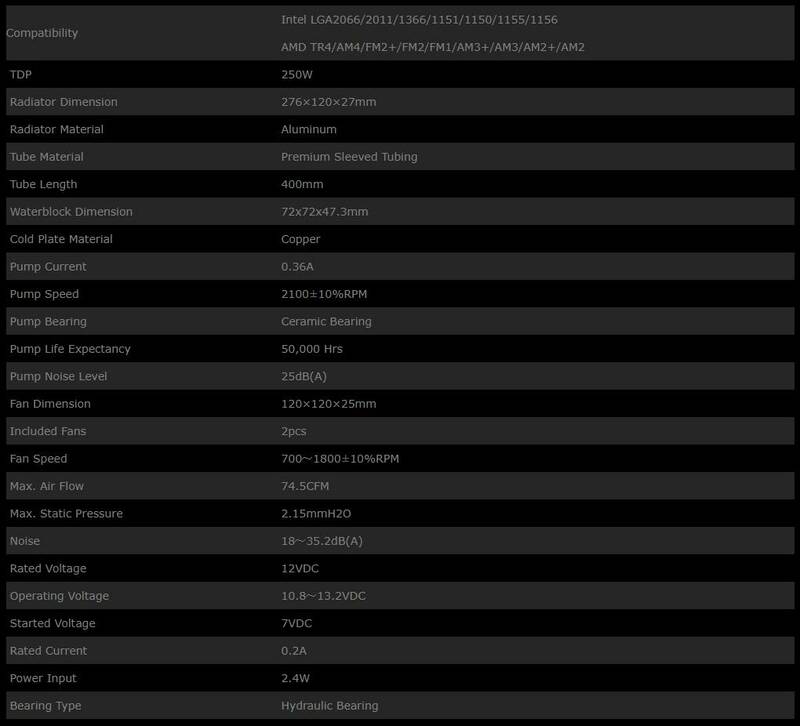 The name of the unit is in the lower right corner with the company name in the upper left and the RGB compatibility logos on the upper right which are ASUS AURA Sync, MSI Mystic Light Sync, and GIGABYTE RGB Fusion. 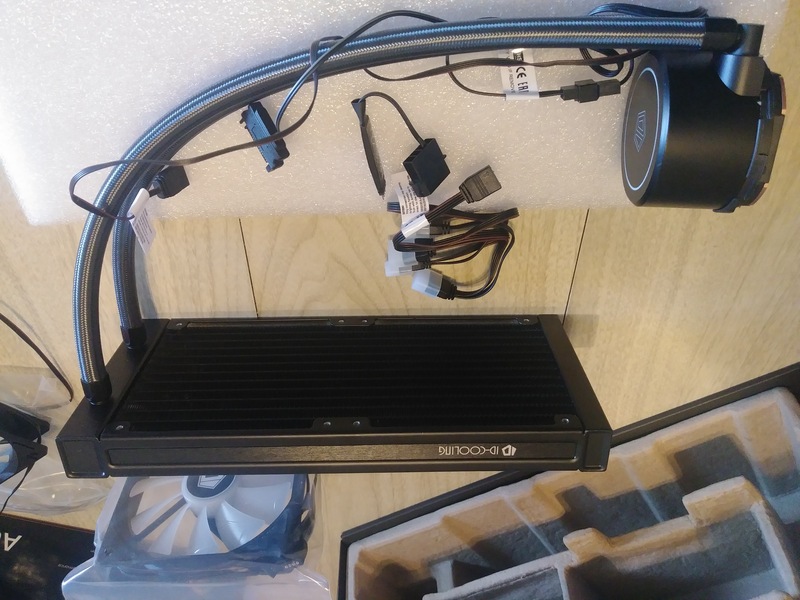 The back of the box carries measurement and specification info as well as socket compatibility and the motherboard RGB Sync software the cooler supports. I want to take this opportunity to address that I will not always touch on the packaging itself. 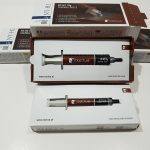 Unless the packaging is subpar to the point of risking the product or is above and beyond I do not see the point in writing about a box, plastic, and foam. With that said ID-COOLING has gone above and beyond on the products safety and part separation here to make things as nice and smooth as possible upon installation. 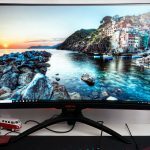 I have opened about a dozen AIOs from companies across the budget and premium selections and not a single one has packaged their product this well. 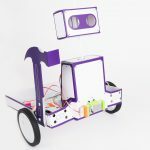 As you can see below they put everything in its own place and the instructions lay it all out. Nice tight fit with a really high-quality plastic used. Here is one of the fans close up. ID-COOLING decided to use a nice black fan casing with anti-vibration pads on the corners and the blades themselves are an opaque white which is really nice for catching the RGB lighting and diffusing it across the blades. Here are the cooler and additional cables. There are approximately 20 fins per inch on this Radiators fin stack. 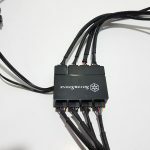 ID-COOLING also includes a 4x4pin RGB Cable Extension which is one more plug than you need for the cooler itself which is nice leaving room for another RGB case fan or RGB strip. Installation was rather straight forward, I do like that the basic AMD double clip bracket was not used, for one that can keep a more even pressure. The tubing was long enough to allow installation into a much larger case than the NZXT H500 I used to test the cooler, that being said the extra tube in this mid-tower case was a bit rough to place. With them, up top, they get mashed up some and down they go well over my GPU Power Plug. 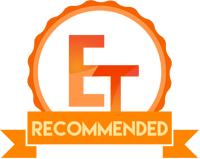 Overall it was a pretty straight forward process and if you want to see how it is done check here where we have done another review with full installation. For our testing, we used Prime95 stress test program to max all of our CPU cores out at 100% for 60min. We then monitor and take note of the max core temperature. We then subtract this number from the ambient temperature to get the temperature delta. Also letting the computer sit idle for 15 minutes before each run to stabilize the min results. 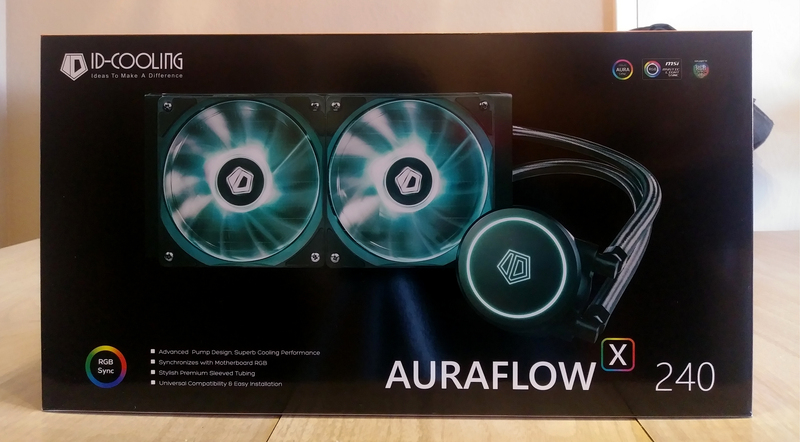 As you can see in the chart below the AURAFLOW X 240 is no slouch, the thicker tubes and radiator help a lot in the thermal dissipation department. In both the idle and load test results, it came out ahead. 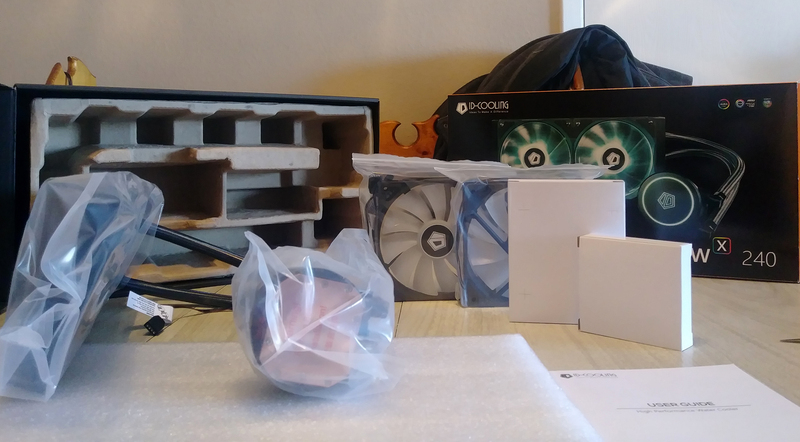 I do not as of now have any other 240mm AIOs to test this one against other than the Masterliquid Lite 240 but with what I have experienced here VS a cooler I do have a lot of experience with on both Intel i7s as well as AMD FX and Ryzen chips the AURAFLOW X 240 is a performer compared to the Masterliquid Lite 240. Keep in mind that these tests were run in a closed case environment with air filters in. 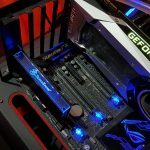 Since I used an ASUS ROG Strix B350-F Gaming motherboard with 2xRGB Headers for my testing I was able to use the ASUS Aura Sync Software Suite to control the AURAFLOW X 240’s RGB goodness. I have 3x RGB strips plugged into one of the headers on the motherboard and the AURAFLOW X 240 in the other. 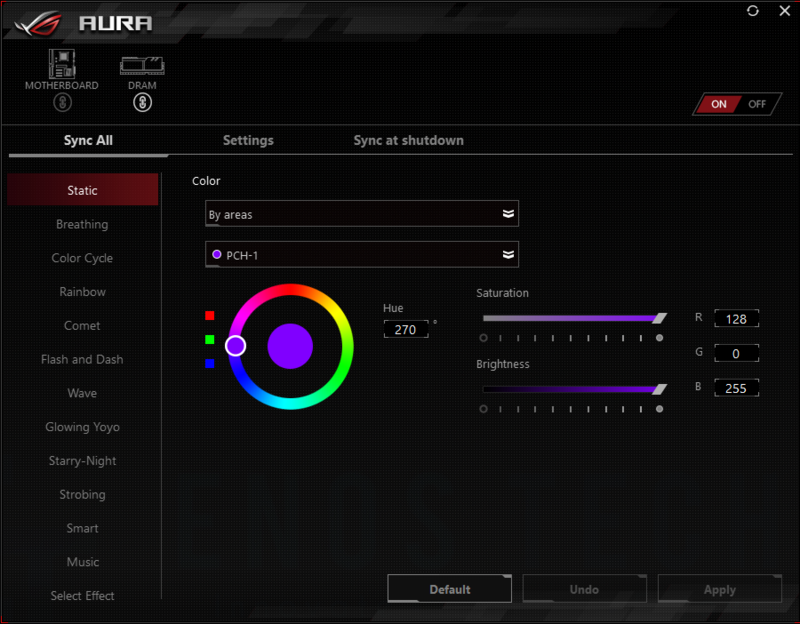 Controlling your RGB through ASUS Arua Sync is very simple, just click an effect and slap the apply button and you are good to go, that is if you want to do the simple stuff. However, you can dig in way deeper and make things really flash if you want to tune special colors and the like. 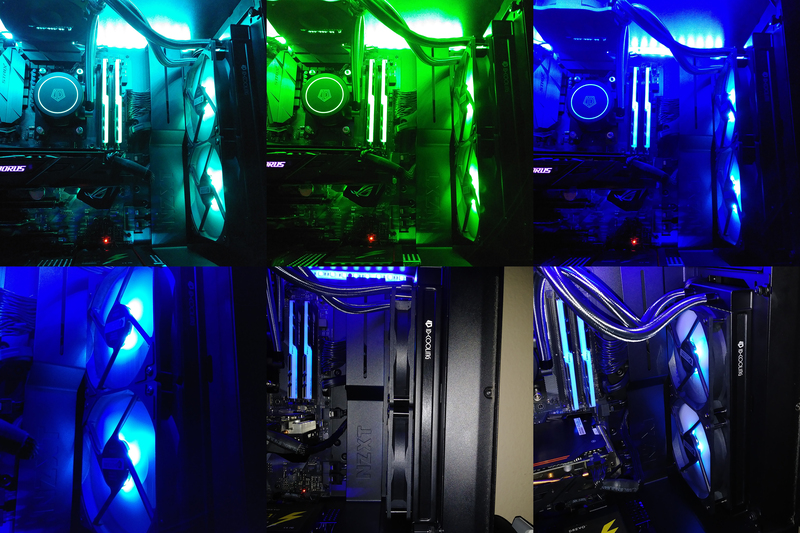 I cannot, however, control my two RGB headers separately so whatever my RGB stips are set to the cooler matches. No mixing and matching with my setup but with a more top end motherboard you can get the option to have individual RGB header control. With or without the RGB this is a very good cooler. 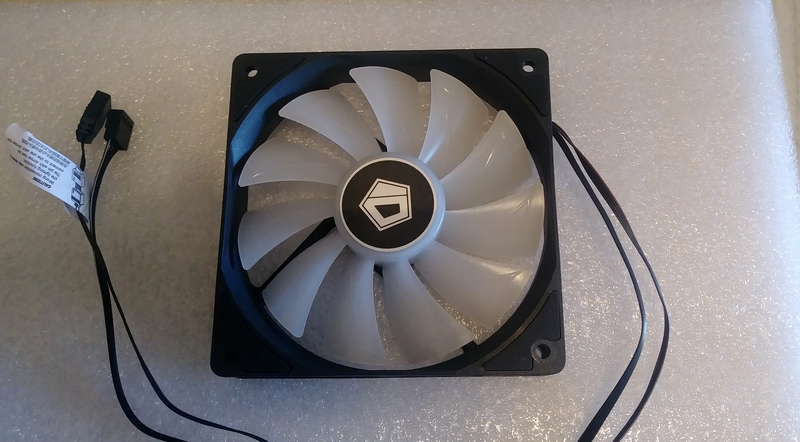 The fans were not only very nice to look at lit up but they are also not overly loud like some other brands stock Static Pressure fans I have had the pleasure of hearing. 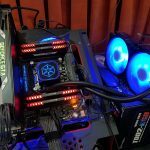 Top that off with a nearly silent pump the total AIO package has more than enough cooling to take any Ryzen CPU on the market currently to the top of its overclocking performance, that might all change with the next refresh of Zen but that remains to be seen. 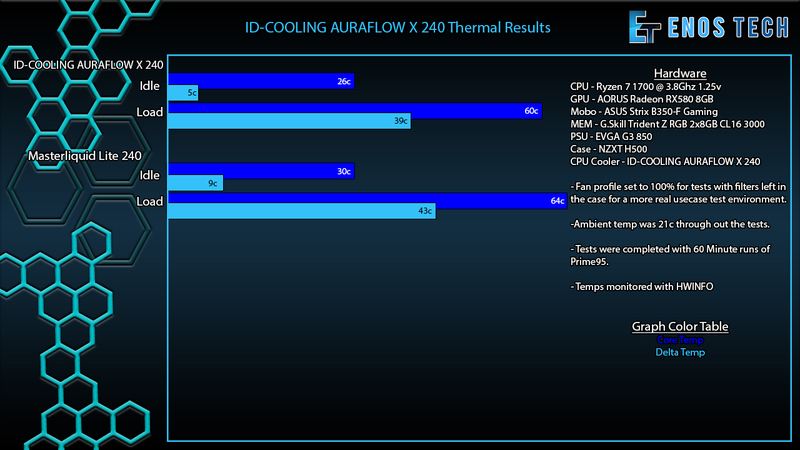 I do not as of now have an Intel platform to test on but I am more than sure that the 250W of thermal dissipation that the AURAFLOW X 240 All In One Cooler has is more than enough to cool Intel’s top gaming chips. 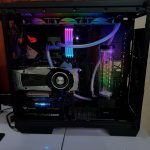 Featuring an all around really nice design, from the RGB all the way down to the pump, radiator and tubing used this is a really nice design. I really like the indented side with the ID-COOLING logo. Rather snazzy in my opinion instead of a flat-sided radiator. The RGB is a nice addition in both the center of the build on the CPU pump but also up front. The lighting is not overly bright and topped my personal daily driver out nicely with RGB goodness. Also for those without an RGB header on their motherboards, there is an internal RGB Controller included. 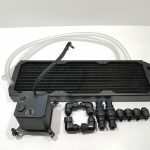 Looks and all that aside ID-COOLING has built this unit right, the pump and more open tubing over the Masterliquid Lite 240 gave it plenty of edge in the thermal results. 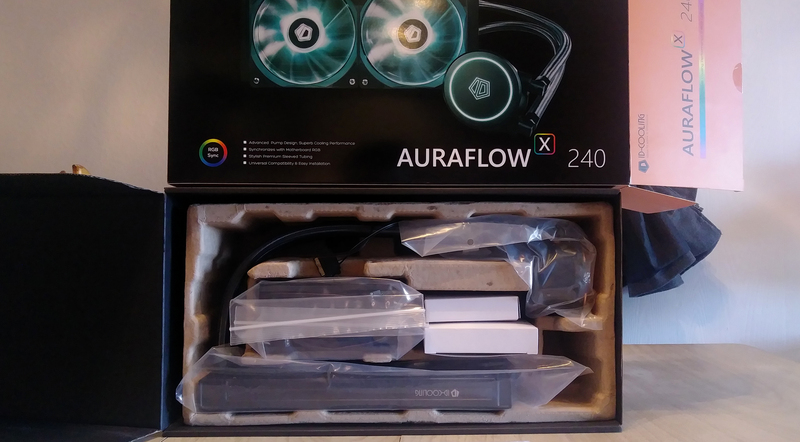 Coming in at $90 at the time of review here in the USA, the AURAFLOW X 240 hits the shelves at a price at a really nice point for all of the looks/features and cooling performance it brings to the table. 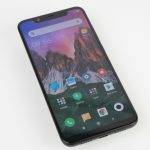 There is a lot of competition on the market these days so it really takes solid performance in both the looks and performance department as well as price. 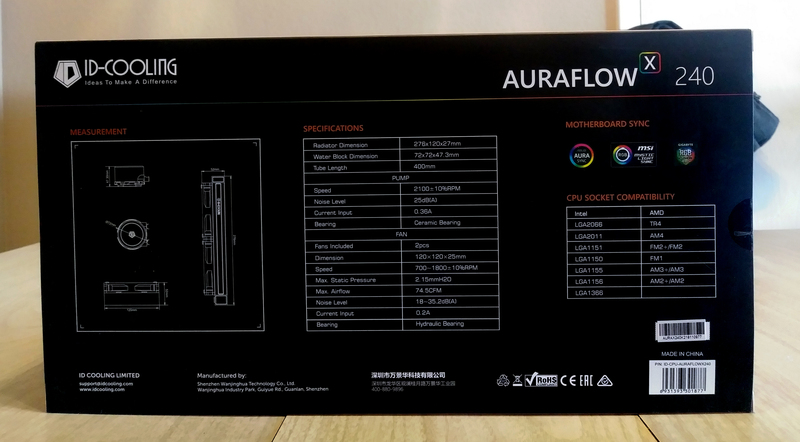 For all these reasons and more we can highly recommend the AURAFLOW X 240. 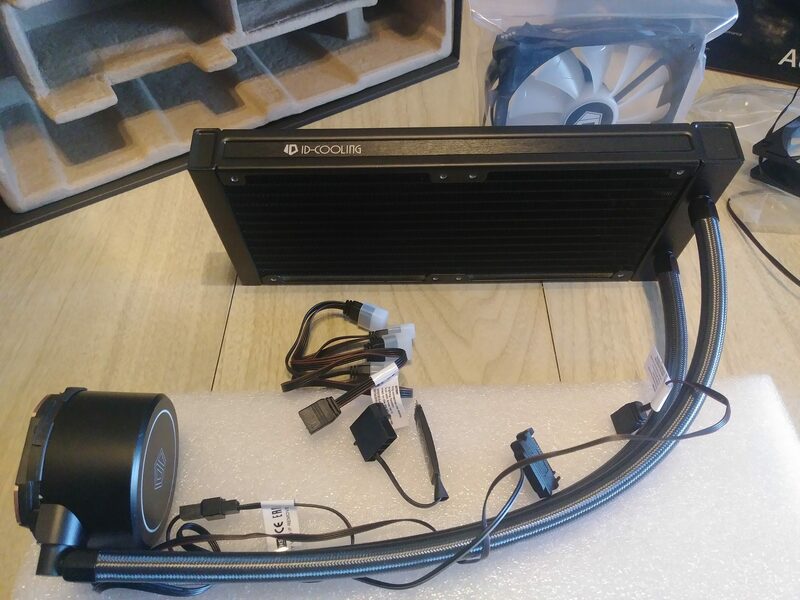 Many thanks to ID-COOLING for sending over their AURAFLOW X 240 for this review!